Glory claims that 3DM is unauthorized without permission.websiteFive pirated games such as "Three Kingdoms 13", "Nobunaga's Wild Hope, Creation", "Nobunaga's Wild Hope, Creation of the Warring States", "Dynasty Warriors 7 Empire", "Sengoku Musou 4-II" were released. Infringes on the copyright of Glorious Tekumo. 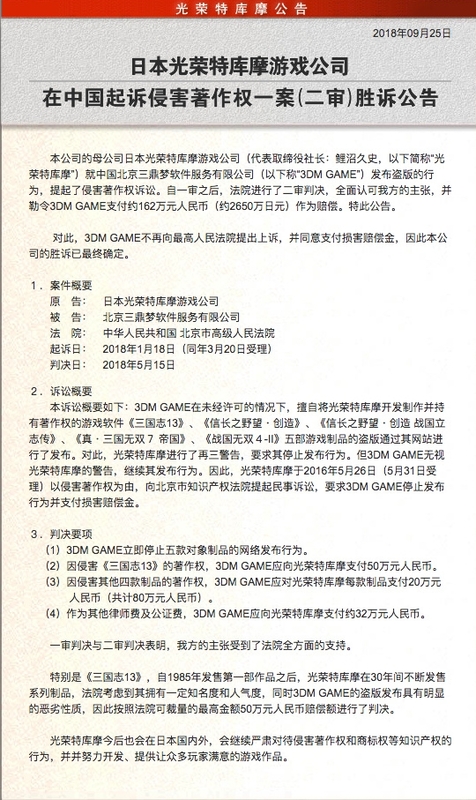 After the second trial, 3DM was sentenced to pay 1.62 million yuan to Glory Tekumo ("Three Kingdoms 13" 500,000, another 4 games 200,000, legal fees and notary fees 320,000), and immediately stopped five object products. 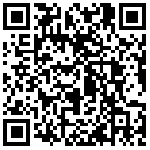 Web publishing behavior. 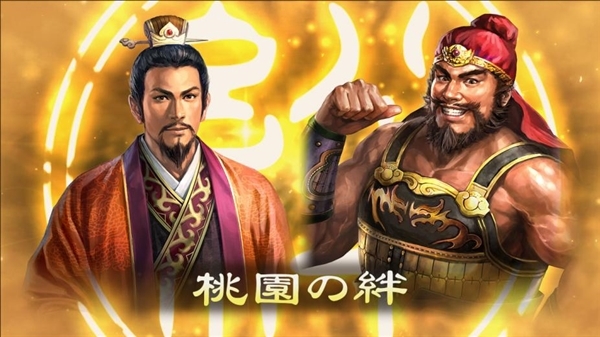 The announcement made a special explanation for the penalty of 500,000 for the "Three Kingdoms 13". "The court considered that it has a certain popularity and popularity, and the piracy release of 3DM GAME has obvious bad nature. Therefore, according to the maximum amount that the court can discretion is 500,000 yuan. The amount of RMB compensation was judged." It is reported that,3DM GAME no longer appeals to the Supreme People's Court and agrees to pay damages.